One of my more satisfying wine discoveries this past year was getting to know the wines of California’s Provenance Vineyards. I use the word “satisfying” because Provenance wines—especially their Cabernet Sauvignon, Merlot and Sauvignon Blanc—are superbly crafted, yet priced within the reach of most of us. In fact, the Provenance wines available in Utah sell for lower than you’d find in California—as much as $12 less per bottle than you’d pay buying directly from the winery. So, not only is this exceptional juice, it’s also exceptionally priced. One of the reasons for Provenance’s appeal is the vineyards’ director of winemaking, Tom Rinaldi. In his three decades of Napa Valley winemaking, Rinaldi has built an impressive portfolio. He helped craft wine at some of Napa’s most prestigious wineries—including Freemark Abbey, Round Hill and Rutherford Hill—before teaming with Dan and Margaret Duckhorn to create Duckhorn Vineyards in 1976. He, along with fellow winemaker Chris Cooney, create the distinctive wines of Provenance. Provenance Vineyards is located in Rutherford, on the St. Helena Highway. It’s a beautiful place to taste wines, and I highly recommend visiting the Provenance tasting room if you’re in Napa. 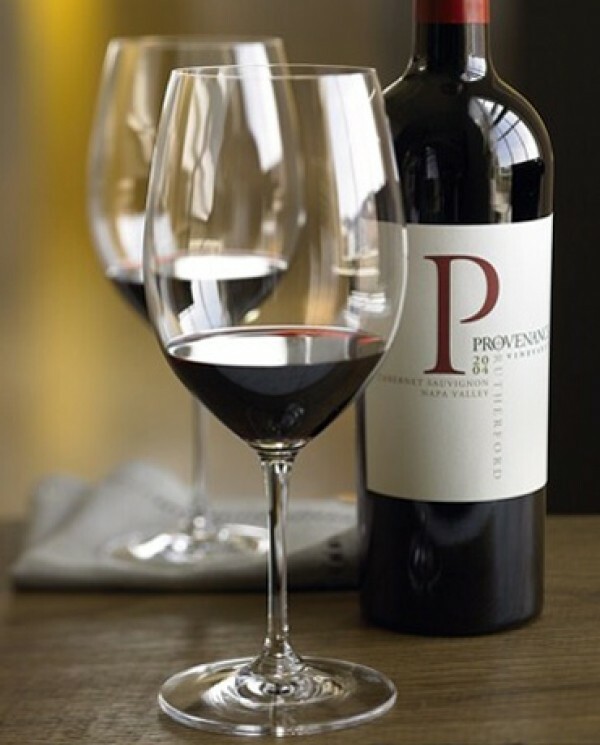 Provenance specializes in red wines—although they also produce very good Sauvignon Blanc—with grapes sourced from vineyards in the Rutherford, Oakville and Carneros districts. Rinaldi credits his long-term relationships with growers for the high quality of his wines. The goal of Provenance, according to Rinaldi, “is to showcase the distinctiveness of Napa Valley’s best growing areas. Great wines start in the vineyard, so we’ve selected top vineyards and intervene as little as possible during the winemaking process.” While the higher-end, single-vineyard offerings from Provenance aren’t available (except by special order) in this state, some of Provenance’s more budget-friendly items are. Provenance Vineyards Rutherford Cabernet Sauvignon 2008, priced at $36.81, is about $10 cheaper here than at the winery. The wine is a blend of 96 percent Cabernet, along with 2 percent each of Merlot and Petit Verdot. There’s plenty of oak on the nose, along with dusty (known as “Rutherford Dust”), dark fruit aromas: plum, black cherry and blackberry. I think this wine needs a few more years in the bottle to develop, but it’s also appealing now, with hints of clove, cassis and hazelnut combining with black pepper and mocha—a very terroir-driven wine and a good representation of Rutherford fruit. Provenance only makes a single white wine, and it’s a good one: Provenance Vineyards Rutherford Sauvignon Blanc. The 2009 vintage sells here for $18.99; again, cheaper than it goes for at the winery. This is a bright, tropical-leaning Sauvignon Blanc, fermented primarily in stainless steel, with zesty fruit enhanced by whole-cluster pressing. The winemakers also add a splash of Semillon, which adds a bit of roundness and viscosity to the texture and body. Good juice, this Provenance.